← Are You Ready for Your 15 Minutes of Fame? I ate mine for breakfast. Who needs bagels, cereal, and donuts? This was super-easy to put together because I used leftover steak. But I’ll assume you’re cooking your steak fresh. 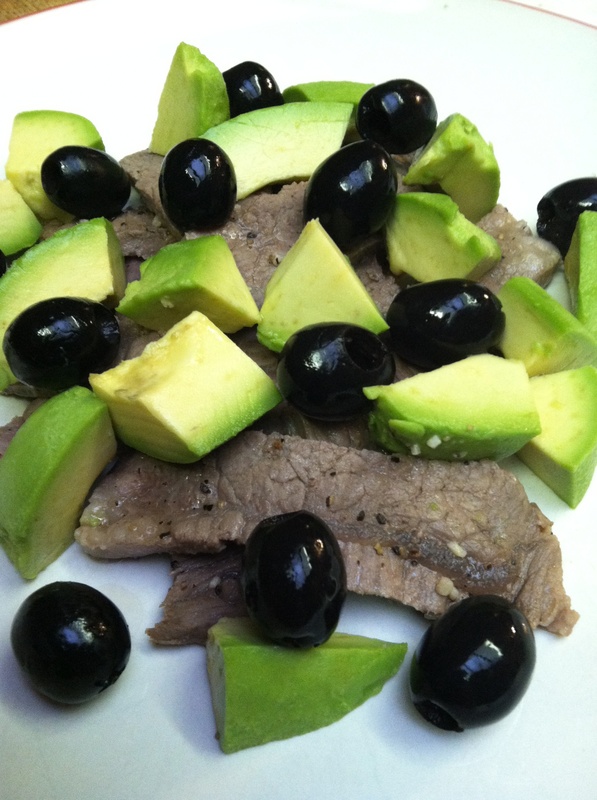 We bought ours as thinly sliced round steak, about a 1/4-inch thick (0.6 cm). Some places might refer to this as a “minute steak” because it cooks so quickly. Minute steak also refers to a piece of beef, usually the round, that’s been pounded flat, about a 1/4-inch thick. Even if you start with raw meat, you can prepare today’s recipe in 10 minutes. Sprinkle your steak with seasoning then cook over medium or medium-high heat in a skillet, about a minute on each side. Or heat your leftover steak in the microwave. If you overcook, it will be tough. Place all ingredients artfully on a plate and enjoy. 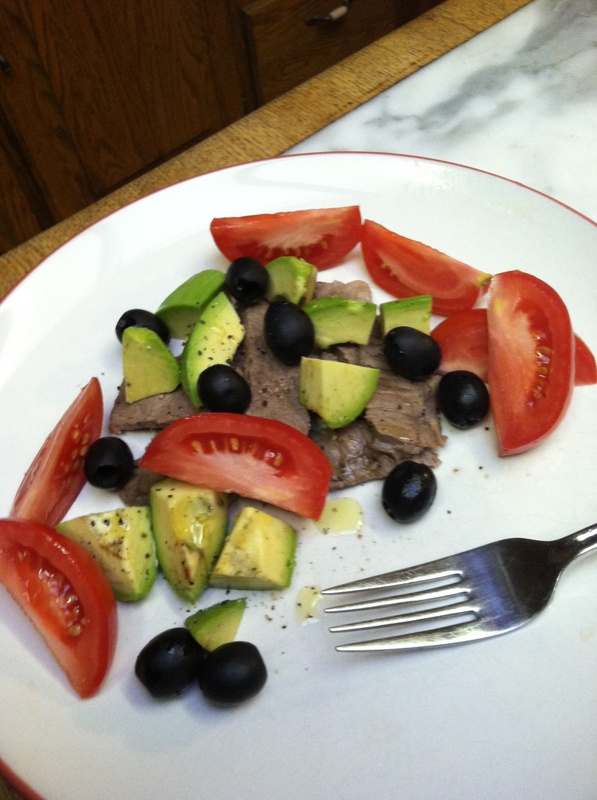 This entry was posted in Recipes and tagged Advanced Mediterranean Diet. Bookmark the permalink.